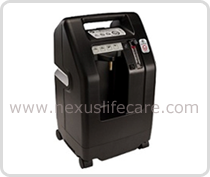 Product Description:- Made in the USA, this robust oxygen concentrator offers just the right balance of cool and quiet. The simplified, two-piece cabinet design allows for 15% typical sound quality improvement and an improved cooling process. Paired with proven, exclusive DeVilbiss Turn-Down Technology, these improvements minimize wear on internal components and increase the life expectancy of the unit. In fact, recent production statistics show a less than 3% warranty return rate.